Voldemort is tightening his grip on both the Muggle and wizarding worlds and Hogwarts is no longer the safe haven it once was. Harry suspects that dangers may even lie within the castle, but Dumbledore is more intent upon preparing him for the final battle that he knows is fast approaching. Together they work to find the key to unlock Voldemort’s defenses and, to this end, Dumbledore recruits his old friend and colleague, Professor Horace Slughorn, whom he believes holds crucial information. 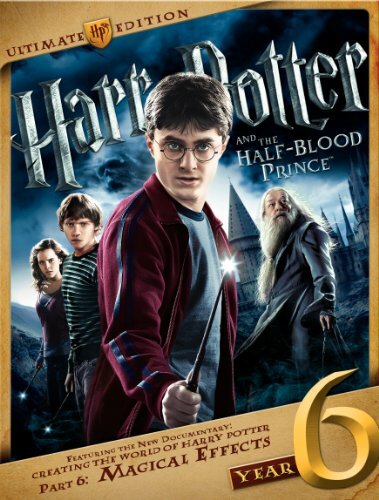 Even as the decisive showdown looms, romance blossoms for Harry, Ron, Hermione and their classmates. Love is in the air, but danger lies ahead and Hogwarts may never be the same. If you have any questions about this product by Harry Potter, contact us by completing and submitting the form below. If you are looking for a specif part number, please include it with your message.